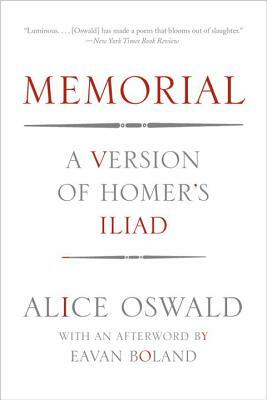 In this daring new work, the poet Alice Oswald strips away the narrative of the Iliad the anger of Achilles, the story of Helen in favor of attending to its atmospheres: the extended similes that bring so much of the natural order into the poem and the corresponding litany of the war-dead, most of whom are little more than names but each of whom lives and dies unforgettably and unforgotten in the copious retrospect of Homer's glance. The resulting poem is a war memorial and a profoundly responsive work that gives new voice to Homer's level-voiced version of the world. Through a mix of narrative and musical repetition, the sequence becomes a meditation on the loss of human life.